Acting on “issues raised by student-athletes and others,” the University has begun an internal review of its women’s basketball program. 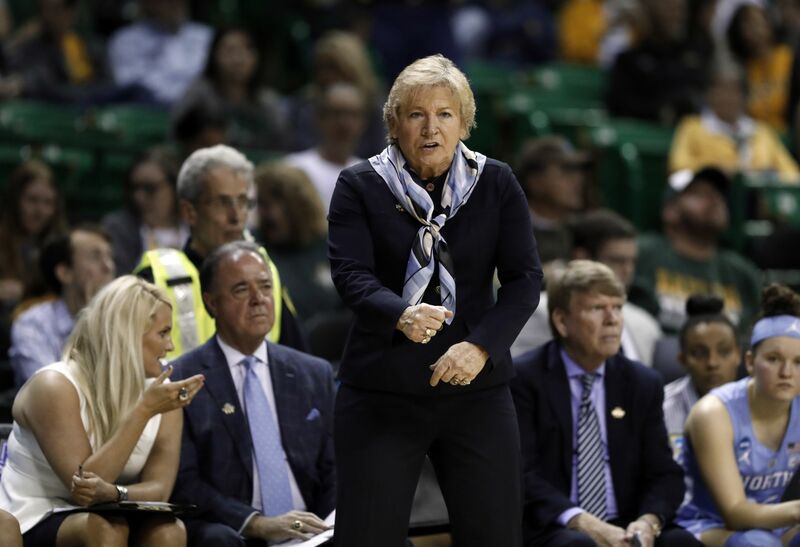 Coach Sylvia Hatchell and her staff have been placed on paid administrative leave. UNC athletics said in a statement that while no timetable has been set, “the review will be thorough and prompt.” Athletics officials declined further comment. “I’ve had the privilege of coaching more than 200 young women during my 44 years in basketball,” Hatchell said in a statement released by her lawyer, Wade M. Smith ’60 (’63 LLBJD). “My goal has always been to help them become the very best people they can be, on the basketball court and in life. Hatchell’s team lost in the first round of the NCAA tournament last month, completing an 18-15 season that included wins over two top 10-ranked teams. It was the Tar Heels’ first time in the tournament since 2015. Hatchell has coached Carolina for 33 years. Her program was scrutinized in the seven-year academics-athletics case that ended in 2017 and was cleared by the NCAA along with other academic and athletic units. Smith served as her attorney during that time. Hatchell received a contract extension through 2020 the year before the NCAA’s decision. Associate Head Coach Andrew Calder has been at Carolina for all of Hatchell’s 33 years. Assistant Coach Sylvia Crawley ’94 has spent six seasons in the program, and Assistant Coach Bett Shelby has just finished her first. The program’s website lists six other staff members.